Now that you are learning to paint with watercolors, you might want to get more familiar with which paintbrush to use for a specific texture or a specific area of your painting. You may have already purchased a basic set or collection of brushes so you most likely have everything you need to start painting all kinds of pictures from still life to portraits to landscapes. For small details in your paintings, you will want to use a spotter brush. The shape of this brush is important and you will want, if you can, to invest in the best quality. A Kolinsky sable spotter brush is ideal and even though these are the most expensive watercolor brushes because they are small they are not going to break your budget. Another option is simply to use a small round brush for the purpose of filling in details. 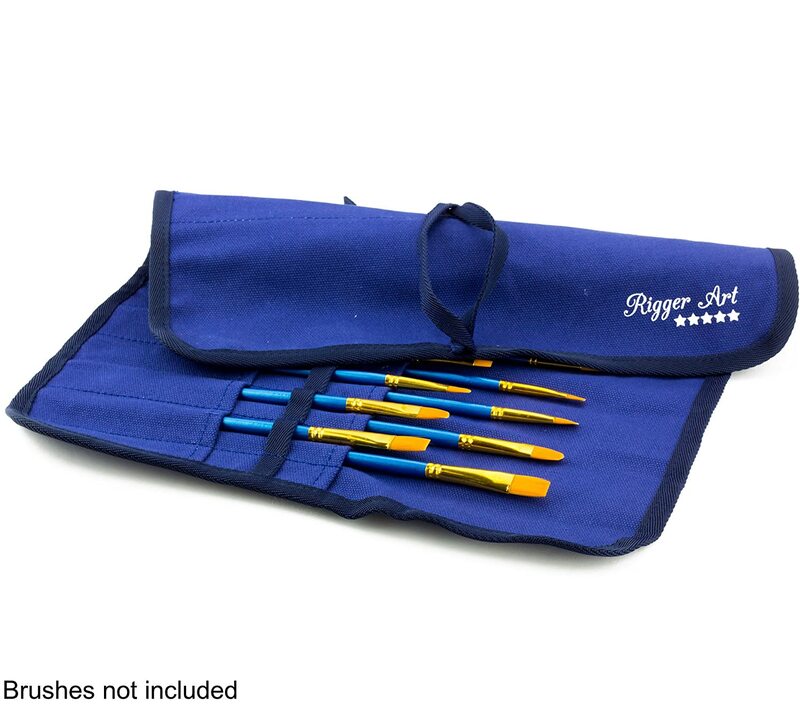 If you are into painting fine lines and details, than these brushes would be best for your needs. For washes and large areas, use your larger round brush to cover and fill in these spaces. Flat brushes are also good for making bold, straight strokes. Ox hair brushes are ideal and although they are more expensive than synthetic brushes, they still should fit your budget since you only really need one to have on hand. Hog bristle brushes also make good investments for washes. They last a long time. If you prefer, you can opt for mop brushes which are available for slightly less money if you buy a less expensive type of bristle hair than hog. Round synthetic brushes are also good for everyday purposes. They keep their shape and they are very affordable. You can use a stiff bristle to make sharp lines especially if you lay it sideways. If you really want to have a handy brush around for detailing and small accents, buy a synthetic script brush. This type of brush picks up lots of water and can do the big washes as well. Think of these as being good for edges or corners of buildings where you want a definite set of lines rather than a gentle wash in a landscape. You can enjoy a wide verity of paintbrush size and shapes to cover most of your painting needs. There is no need to buy expensive brushes can cost $25-$35 for a set of brushes and if you aim at top notch natural sable hair it can cost up to $70, which is more than most painters need. 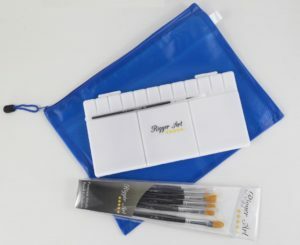 If you are exploring watercolor or acrylics, you may want to get a painters bundle, which includes a set of 6 brushes, in different shapes and sizes, and a large folding palette and a mesh bag to carry all your painting tubes and papers to the class or outdoors. As a general rule, you can use whichever brush really calls you to its attention. After all, you are the artist. The more variety you have in your brush collection the better off you will be in creating free movements, textures, and designs on the canvas or on the paper. Make sure to check the Rigger Art bundle offer, which has brushes, palette and mesh bag all nicely packed, so you could paint like a pro. This entry was posted in Painting Brushes, Videos by RiggerArts. Bookmark the permalink.